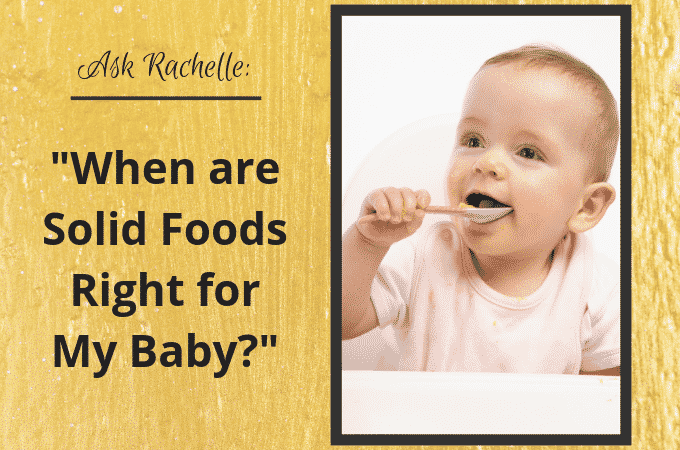 Starting Solids With Rachelle: When are Solid Foods Right for Your Baby? The day has finally come: you’re pretty sure you’re ready to start your baby on solids… but where do you start, exactly? And how can you be really sure your baby is ready to begin eating solid foods? The American Academy of Pediatrics recommends you start between 4-6 months, but of course, that all depends on the baby. Most babies aren’t ready to begin foods until at least 6 months – and never before 4 months. So when is your baby ready for solid foods? He or she can hold their head up and sit up on their own. He or she shows lots of interest in the foods you are eating, sometimes opening their own mouth and getting excited when they see you eating. He or she still acts hungry even after eating a complete day’s feedings. Most of us grew up with the belief that you should start little ones on solids such as rice baby cereals, but we know much better than that now! Rice cereals are no longer recommended to use as a first food and I don’t recommend your baby be exposed to them at all. This is because of their extreme lack of nutrition and general harshness on babies’ new tummies. Instead, the best route to go with your little one is the high road. 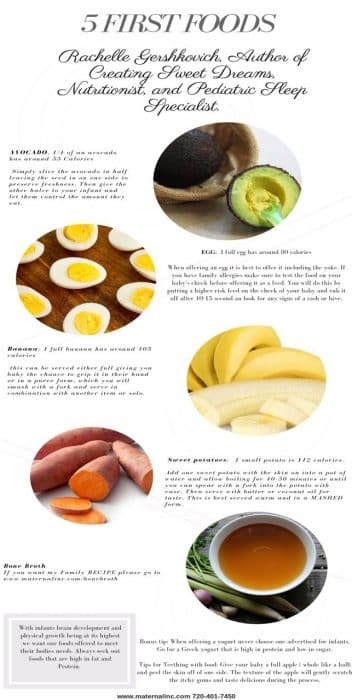 Choose foods that are not only much gentler on a baby but high in nutritional value, healthy fats, carbohydrates and vitamins! Previous: Do You Need a Baby Schedule?